Plastic surgery changes the shape of different areas of the body; this is achieved by moving skin and tissue around and thereby altering the blood supply. Cigarette smoke contains over 250 known toxins, besides nicotine; there is carbon monoxide, nitric oxide, and hydrogen cyanide, all of which compromise wound healing. The blood vessels bring oxygen to the tissues, in addition to healing aspects; the oxygenated blood fights infection and delivers important medication such as antibiotics. Nicotine affects blood flow because the blood vessels constrict, and then the blood may clot more easily clogging small blood vessels and capillaries. This clogging could result in a reduction of blood to the tissues causing necrosis, which is the death of cells in living tissue. When this happens, the surrounding tissues become inflamed requiring surgical removal called debridement. When this type of surgery becomes necessary, the outcome of the cosmetic surgical procedure may be compromised. In another recent study by The European Society of Anesthesiology, smokers need 33% more anesthesia throughout surgery and 23% more pain medication. Surprisingly, those exposed to second-hand smoke needed 20% more anesthesia and 18% more pain medication. Addiction to cigarettes should not to be taken lightly. Most people who smoke wish they could quit, but addiction to nicotine can be an uncontrollable dependence causing severe mental, emotional and even physical reactions for someone trying to kick the habit. For a plastic surgery patient who smokes and is anticipating elective surgery, it is important to understand the complications that smoking can cause. 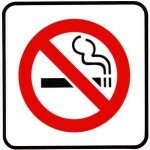 Some patients may be tempted not to disclose their smoking status to their surgeon. Preoperative testing can show if nicotine is present in the blood and thereby affecting the safety of surgery. All qualified Board Certified Plastic Surgeons make safety for their patients their number one goal. Miguel Delgado, M.D. does not wish to scare patients with this information but to make them aware of the seriousness smoking poses. Dr. Delgado has helped many patients overcome their smoking habit by prescribing medications such as Chantix so that they can move forward safely to their cosmetic surgery goals. Call Miguel Delgado, M.D. Today! Call (415) 898-4161 or email info@dr-delgado.com for an appointment with Dr. Delgado. This entry was posted in Breast revision recovery, Breast revision risks, Breast revision surgery on November 16, 2015 by admin.